The Marathon Restaurant at North Pond is an upscale American Bistro featuring a modern twist on classic American favorites. The Phantom Gourmet recently picked us as a Hidden Jewel and we also received a Gold Plate from TV Diner. 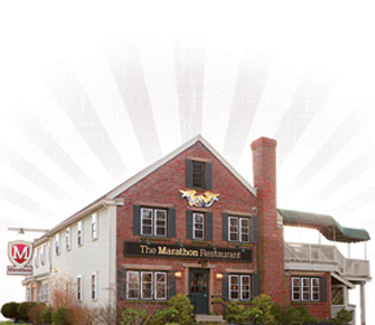 We are conveniently located off of Route 495. Located in the hometown of the Boston Marathon Start Line, Billy Costa of TV Diner says, "This new kid in town is definitely going the distance." The restaurant boasts an extensive wine and beer selection, and comfortable seating by our two fireplaces. The bar area features 10 HD TVs, proudly offers the NFL Direct Ticket and are shows all of the NFL action every Sunday!